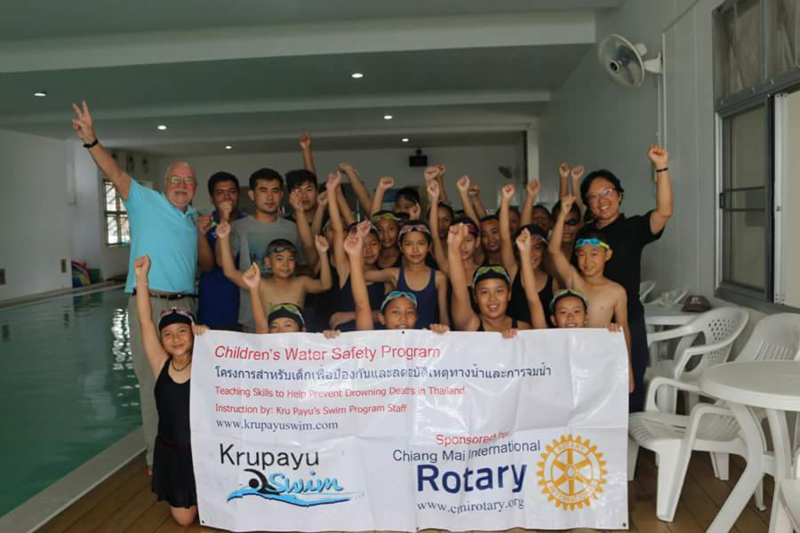 The Chiang Mai International Rotary Club (CMIRC)-Kru Payu Swim Children’s Water Safety and Drowning Prevention Program is working to address the leading cause of death for children in Thailand: Drowning! Over 1,000 children drown in Thailand each year. (Source: 2014 World Health Organization and Thai Ministry of Public Health). We are happy to report that by early February of this 2017-2018 school year, our water safety and drowning prevention program will have taught almost 300 Chiang Mai municipal school 4th graders basic survival swimming and water safety. 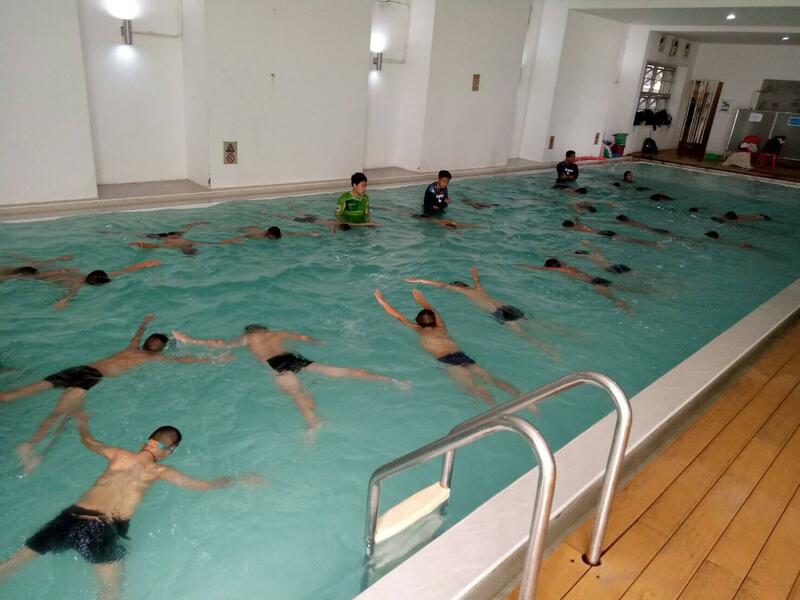 Once again, this year all 11 Chiang Mai municipal school 4th graders will have had the opportunity to receive 15 hours of water safety and swimming instruction. These are poor children, so the instruction, the swimsuits, towels, goggles, and caps are all completely free for participants. The program in Chiang Mai is fully funded by the CMIRC. We are aided by the generosity of our swim instructors at Kru Pay Swim, our pool at Bronco Kids Sport Center, and the Chiang Mai Municipality. All of these people and organizations make substantial contributions of time, effort and money to make our program possible. During the past 18 months our program has taught over 500 9-year old fourth graders survival swimming and water safety. Beginning next year, almost every graduate of a Chiang Mai Municipality Public Schools will have received our training! Our club is committed to making this a part of every municipal school child’s elementary school experience far into the future! Our club's focus is children’s safety, health, and education and our CWSDPP is an important part of that effort. Would you like to help? We have refined and revised our program, so that we can now provide 15 hours of swim and water safety instruction for about 500 Baht (US$16) per 4th grade child. One entire 4th grade at a school can be taught for about 17,000 Baht (US$550). Feel free to contact me at john@cmirotary.org , if you have questions or wish to provide assistance for our project. Project champion John Schorr, left, with happy graduates and their teachers and water safety instructors.